What is a Long/Short Equity Strategy? Home > Articles > What is a Long/Short Equity Strategy? Long/short equity funds make up the largest single-strategy alternative mutual fund category, but their popularity hasn’t always translated into proper placement within a portfolio. The primary benefits of long/short equity funds are often underappreciated, and worse yet, the strategy is often square-pegged into an “alternatives” allocation of a client’s asset mix where it may provide less value. The following offers a brief overview of the strategy, explaining how it works, how it helps, where it fits, and factors to consider when selecting a long/short equity manager. 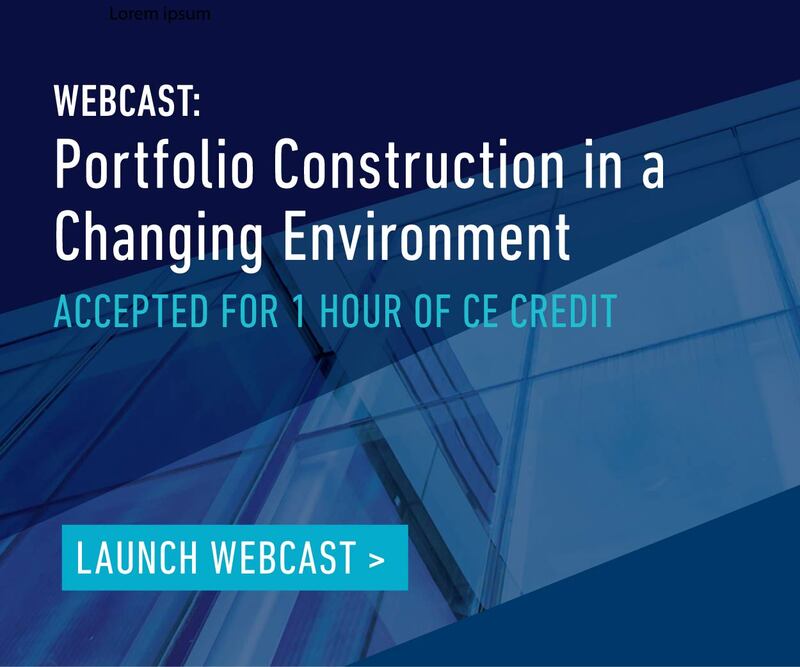 It also explores why the current market environment calls for a better understanding of this type of strategy and its positioning within client portfolios. Long/short equity strategies take long positions in stocks that have superior return characteristics (the good), while shorting stocks with a poor outlook (the bad and ugly). The ability to do both provides portfolio managers and analysts with more flexibility to utilize all of the information they uncover during the stock research or screening process. Portfolio managers and analysts, whether discretionary or quantitative, expend tremendous effort in identifying securities with higher expected risk-adjusted returns than the market at large. Through these efforts, they likewise come across securities with lower expected risk-adjusted return profiles. A traditional long-only strategy’s ability to capitalize on the latter information is limited: they can underweight the stock with a poor outlook or avoid it. However, shorting the stock, as is done in long/short equity strategies, allows the manager to fully express those views. The flexibility to short stocks has other important implications beyond a manager expressing a negative viewpoint. The ability to short stocks potentially gives the long/short equity strategy an additional source of alpha that doesn’t exist with long-only strategies. Meanwhile, shorting reduces equity market exposure. In tandem, the ability to exploit a larger opportunity set and reduce market exposure has historically generated compelling risk-adjusted returns for long/short equity strategies. The performance of long/short equity strategies is not wildly different from a traditional long-only equity benchmark. The stark contrast is in how long/short equity strategies achieve those returns; it’s historically been a less hair-raising experience. As the table below shows, long/short equity strategies have come close to matching the performance of equities, but with essentially the same level of volatility as a 60/40 stock and bond portfolio (as measured by standard deviation). Just as important, the maximum drawdown of the typical long/short equity strategy was considerably lower than for the S&P 500, and even lower than a 60/40 portfolio that is designed to protect against a market crash. The next chart puts the reduced drawdown into perspective. The recovery required for a long/short equity strategy to get back to ground level after a major equity market downturn is much easier than for equities or the traditional stock and bond asset mix. Source: Morningstar 1/1/1994 to 12/31/2016. The timeframe was selected based on the beginning date and the end date of the MSCI World Index’s most recent complete drawdown. Reduced drawdown has important effects for investors—both real and psychological. With only a limited amount of time to save for retirement, not every investor can wait for the “average” return of equities to make them whole after a severe market downturn. For example, it would take an investor 4 years to make up for a 20% decline in the value of a $500,000 portfolio (assuming a 7% annual return). And even investors with longer investment horizons can get scared away when stocks are in free fall—exiting equities at precisely the wrong time. Long/short equity strategies can minimize drawdown and help investors stay on track with their long-term investment objectives…but it helps if the long/short equity strategy is correctly positioned within a broader portfolio. Even so, it’s necessary to consider the overall liquidity profile of each manager during the underwriting process. Investors have categorized long/short equity strategies as an “alternative,” but the designation is misleading. The strategy serves investors better when it makes up a portion of their traditional “core” allocation of equity and fixed income, rather than a component of an alternative allocation. The strategy invests in stocks, but since it often does so with net exposure to equities well below 100%, it behaves like an enhanced version of a stock and bond allocation. As the charts in the previous section show, long/short equity strategies have outperformed the 60/40 portfolio on a risk-adjusted basis, and with smaller drawdowns. If investors replace part of their traditional core allocation with long/short equity strategies, they can potentially improve overall performance of the core allocation while dampening volatility. If allocators instead place a long/short equity strategy within the alternatives bucket of a client’s portfolio, they risk creating a portfolio with too much equity exposure. The alternatives allocation should be used for other asset classes and strategies whose return streams are truly uncorrelated to equity markets, such as managed futures strategies or convertible arbitrage strategies, to name a few. Investors should let the alternatives allocation do the work of diversifying the broader portfolio, while using long/short equity strategies to fortify the core allocation. Size is the enemy of a long/short equity strategy. As with any active investment strategy, when too many assets are raised, it is harder to put those assets to work without lowering the strategy’s return potential. How does the manager use the short portfolio? 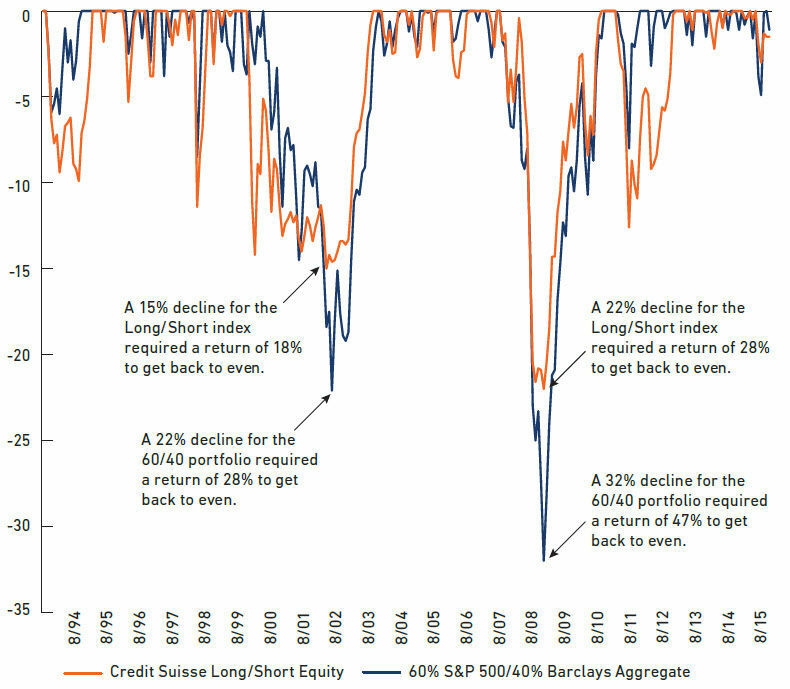 Some strategies intend to use the short side of the long/short equity portfolio as a source of alpha. If so, the manager should demonstrate a history of adding value through shorting stocks. Other managers use the short portfolio as an equity market hedge. If this is the case, the manager should be adding value by varying the net exposure to equities over time through hedges. What is the investment team’s process for shorting stocks? The ability to short stocks more fully utilizes a manager’s stock research or screening process. However, shorting stocks is new for some managers. Fiduciaries should consider the investment team’s experience in shorting stocks and ensure there is a systematic process for identifying stocks to short. The long portfolio matters too. Understanding the short portfolio is important, but the due diligence process should also include a review of the manager’s ability to add value through stock selection in the long-only portfolio. Equities have enjoyed a nine-year bull market run and with a few notable exceptions, market volatility has remained low. Quantitative easing around the world has pushed up bond prices. Against that backdrop, investors have likely been satisfied with the performance of their core allocation. The road may get harder from here, however, underscoring the need to improve returns from the core portfolio. Currently, the Shiller Cyclically Adjusted P/E ratio of about 28 times earnings, well above its long-term average of 16.6. While equity valuations can stray far from their averages for extended periods, it is hard to envision much more upside from stocks, at least in terms of multiple expansions. Rates near historical lows make it likely that future returns from fixed income will be lower too. In a market environment that portends low future returns, every basis point counts. Long/short equity strategies can improve the return profile of the core portfolio and help minimize the drawdown if, or when, equities lose ground. Long/short equity strategies can improve the return profile of a core portfolio and help minimize drawdowns if equities lose ground. The performance of long/short equity strategies is not wildly different from a traditional long-only equity benchmark. The stark contrast is in how long/short equity strategies achieve those returns. Reduced drawdown has important effects for investors. With only a limited amount of time to save for retirement, not every investor can wait for the “average” return of equities to make them whole after a severe market downturn.